I was blessed to be in the seats at Baptist Church of the Redeemer for the six months or so that Jim Hamilton preached through the book of Revelation. I was new to the church and fairly new in pastoral ministry. I remember thinking: “I can’t believe he’s preaching on this!” Don’t get me wrong, I believed that all of the Bible was true and profitable for the body of Christ. But, admittedly my interaction with friends and other pastors on Revelation had always produced more fear and confusion for me than edification. But, I was struck by how clear and powerful the sermon series proved to be. Jim did not overwhelm us with theories, positions or charts. He simply explained, with passion and gravity, this very important book of the Bible. I remember coming away from those sermons and being more impressed with the beauty, strength and majesty of Jesus than ever before. The “crucified, risen, ascended, reigning and returning” Lord seemed to peer directly at us from the pages of John’s letter on those Sundays. There was expectation for the future, yes but not the kind that leads to speculation and calculation. It was the kind that made obedience in the present all the more attractive and logical. Jesus was real and was coming again. We were confronted with His power and the futility of resisting it. I’m so thankful that Crossway has seen the blessing and value that these sermons and Jim’s careful study offer for the wider Church. So, I couldn’t be more excited to now hold Revelation, The Spirit Speaks to the Churches in my hands. Pastors, if you’re not familiar with the Preaching the Word commentary series, edited by R. Kent Hughes, you should quickly familiarize yourself. This series has been helpful to me in my preparation through the book of Acts and the gospel of Mark. 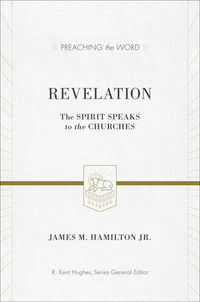 I know that this latest edition to this reliable series will serve you very well, both as an encouragement to preach on Revelation and as a resource as you go about explaining this glorious book to your congregations. The book of revelation is exactly what we need. I hope that you will benefit greatly from this new volume and that through it, our confidence in and worship of our reigning and returning King will soar! Under The Blood from Jason Allison on Vimeo. I hope that you will pray with me for God’s blessing on the teaching of His word this Christmas at Redeemer and in all of our churches, for His glory. VIDEO: Family Camp 2.0 Sonic Conversation Between Travis & Billy. . .
Big thanks again this year to Jason Allison for putting together the script and video! It was lots of fun. . . and it did get a few laughs. This Sunday morning the majority of our church will not be at our normal location for worship. We will be at Trinity Pines Retreat Center, at our second annual Family Camp, returning Sunday afternoon. 1) Location: The location of our service will be in the same building (Main Building as you come into the campus). We have moved the service from the main sanctuary to a smaller assembly room nearby. You can enter through the same door that you would as if you were heading to the sanctuary and follow the signs and greeters to the proper location. From the main double doors: Walk down the hall (sanctuary on your left) and take your first right down the hall. Then turn right just before you enter “David’s Hall.” The assembly room will be the first room on your left. 2) Time: The time of our service will be the same as usual: 10:40am. 3) Sunday School & Lunch: There will be no Sunday School or Fellowship lunch this week. We will resume both SS and lunch next week, Lord willing. 4) Childcare: There will be no nursery or children’s church this week. However areas outside of the assembly room will be open to parents if needed. If you have other questions about this Sunday’s service, please call 832-655-2515. What Do You Need to Pack for Family Camp? These are exciting days. As many of you already know, we are moving into a time of discussion and prayer about a potential merger with First Baptist Church, Missouri City. If you’ve been around Redeemer for a little while, you’ll know that this possibility has been on our hearts and in our prayers for several years now. Recently FBC decided to move forward with the conversation and we’ve had one meeting together (the first of many) to discuss the possibility of merging our two churches into one. We want to let you know that this will be a process involving much discussion, prayer and deliberation. As we begin these discussions about a potential merger, we do have an important announcement to make that will have an immediate impact on our meeting location. First Baptist Church has graciously invited us to begin worshiping in their main sanctuary, located at the entrance of the campus, beginning this Sunday, August 28th. As was announced last Sunday, we will continue to meet in the Family Life Center for Sunday school, and our fellowship lunch following our time of worship. Our worship time will remain the same, beginning at 10:40am. So, let me ask you to be prepared to be flexible and ready for a few changes in our normal routine over the next few weeks. Small changes will occur as we discover the most efficient ways to transition back and forth and as we work out all of the details that go along with a new worship location. We greatly appreciate your patience and help. Please continue to pray for God’s leading in our discussions about the potential opportunity to merge with FBC. We are so thankful for the opportunity to minister in this community, with this group of Christ followers. What a privilege! We’d like to gather as a church, on Friday night, August, 5th, to humble ourselves before the Lord of the Harvest, as ask for laborers, for harvests, for open doors, for wisdom, for healing and for more and more of Him. Would you join us? Please RSVP to join us for this night of prayer as we seek the Lord together. I am honored to get to preach at FSBC’s Anniversary Revival is this weekend, June 24-26th. FSBC will be presenting the Peasant Saints w/ a love offering to purchase a video camera and to purchase Bibles and tracts. Please join us in praying for this weekend’s services and outreaches. We would like to invite you and your friends and family, to join us for our first Good Friday service at Baptist Church of the Redeemer, on Friday, April 22nd at 6:30pm. We hope to gather and reflect on the Cross of Jesus Christ through Scripture reading, song and teaching. It is such a paradox to reflect on the Cross of Christ. We come with sorrow, at the greatest tragedy in the history of the world. But the exact same event purchased eternal life for all those who would repent and believe. It is our prayer that this will be the case for each of us as we gather on Good Friday. We will come together at 6:30pm for our service which will be followed by a short time of fellowship in the gym. Please do plan to join us and to invite your friends and neighbors to hear the most important story ever told! We meet on the campus of First Baptist Church, Missouri City, in the Family Life Center. When: 6:30–7:30pm, fellowship and snacks to follow. Childcare: We plan to provide a nursery for children 2 years and under.